With Halloween so close at hand, we thought that it might be fun to talk about a purportedly haunted piece of St. Simons real estate, the Kelvin Grove Plantation. Itâ€™s been mentioned briefly before in books like Dennis William Hauckâ€™s Haunted Places: The National Directory of Ghostly Abodes, Sacred Sites, UFO Landings and Other Supernatural Locations. Once located near the notorious Bloody Bend of Bloody Marsh fame, the plantation was home to a native South Carolinian by the name of Thomas Cater. 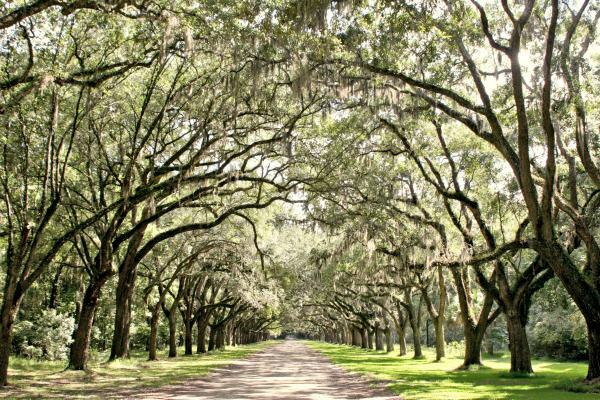 Cater settled the 1,600-acre plantation in the late 1700s with his then wife, Elizabeth Franklin and their son, Benjamin Franklin. Unfortunately for Cater, his wife had a wandering heart, which in the early 1800s led to a not-so-secret love affair with one of the plantationâ€™s employees. Instead of choosing to divorce her husband, she opted to have him killed. And to make matters worse, she allegedly implored her lover to take up the task. He later agreed and carried out the dirty deed on plantation grounds. Afterward, they purportedly fled alone and the son was taken next door to Retreat Plantation. Thomas was later laid to rest on the property, which is now partially maintained by the National Park Service. Although the house is no longer standing, and there is no official grave marker, park visitors will get to see artifacts related to the Battle of the Bloody Marsh during the daylight hours. The graves of Caterâ€™s descendants may also be seen at Christ Church and paperwork from when the plantation was in operation is available for viewing through places like the University of North Carolinaâ€™s Louis Round Wilson Special Collections Library. Historical information about the familyâ€™s plantation may also be found in Anna Matilda Kingâ€™s book, Anna: The Letters of a St. Simons Island Plantation Mistress (1817-1859) and Daina Ramey Berryâ€™s tome, Swing the Sickle for the Harvest is Ripe: Gender and Slavery in Antebellum Georgia. And as for Caterâ€™s ghost, it said to wander the grounds to this very day. To find out more about the old Kelvin Grove area and other gr eat pieces of St. Simons real estate, please contact DeLoach Sotheby’s International Realty.